Backed by Viacom 18 Motion Pictures, the epic period war film will be released in 2019. 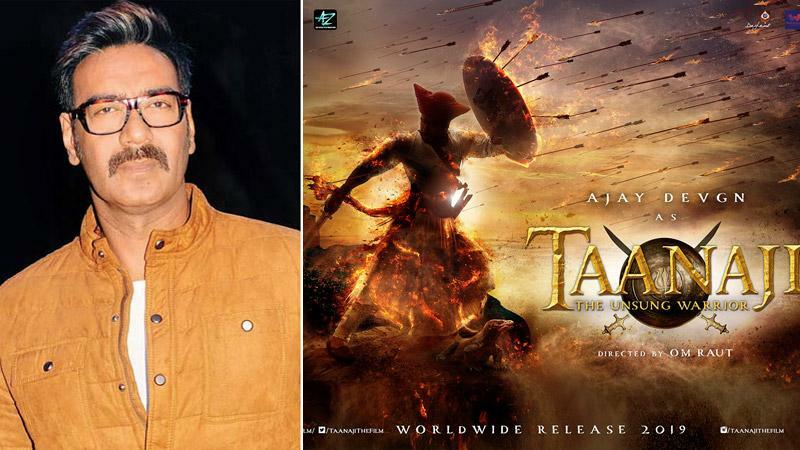 Actor Ajay Devgn, who has just delivered a yet another hit, Raid, will soon start shooting for his much-awaited period war film, Taanaji: The Unsung Warrior. The actor announced that he will portray the great Maratha warrior on July 20th last year, and now, he has said that he will start shooting for the same in the second half of 2018. Ajay will first finish the shooting of Luv Ranjan’s next and Total Dhamaal and then will commence Taanaji in the month of August. Talking with a leading daily, the actor said, "The prep is going on and we would start shooting in August." The Viacom18 Motion Pictures' co-production will be directed by Om Raut, who has to his credit Lokmanya Ek Yugpurush (2015), the Marathi biopic on Bal Gangadhar Tilak. Early this year, the Shivaay actor stepped into the Marathi film industry with Aapla Manus and it turned out to be a critically and commercially successful film. Ajay says he associates himself with projects he likes. Asked if he would like to venture more into Marathi scripts, Ajay told a news agency, "When I hear good scripts, I want to make them and when I heard this script ('Aapla Manus') which is a fabulous script... It has been appreciated after its release also. So, I don't do things because I just want to do them. I do things if I like it and then I (would) want to do it." Apart from these projects, the actor is also producing Kajol’s upcoming film, Eela. ‘Sonu Ke Titu Ki Sweety’ shifts to 23rd February; to now clash with ‘Hichki’! ‘Pad Man’ is not coming out on 25th January; the new release date is 9th February!